“The irony of the sign is what attracted me to take the shot. I remember driving past the store late in the afternoon in the early 70’s. Seeing that the sign was… amiss to say the least, I drove south to my home in Beltsville, grabbed my old Olympus 35mm, and came back the photo”. 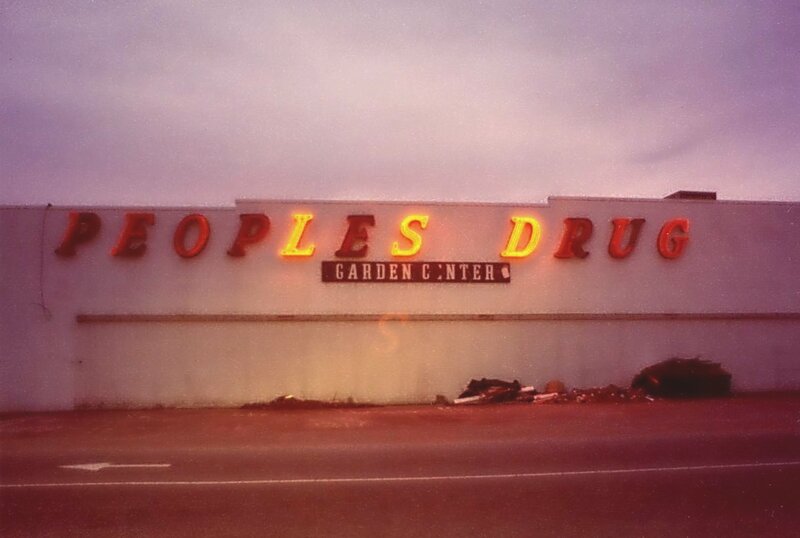 Peoples Drug stores were universally re-branded as CVS Pharmacy in 1994, and this one continues to operate as such—despite the lack of LSD.